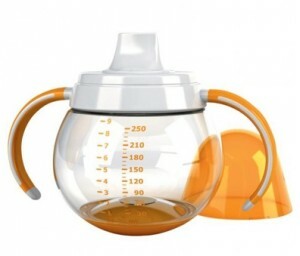 mOmma Mealtime Collection ~ Technology and Design For Today's Baby! 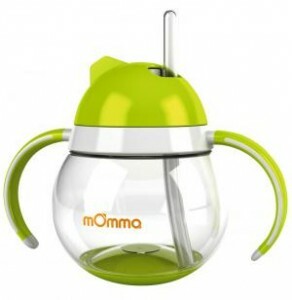 Home » mOmma Mealtime Collection ~ Technology and Design For Today’s Baby! mOmma is the newest revolutionary line of baby products that have been designed to make mealtime more convenient and functional. The whole collection features rounded contours, bright colors and innovative touches. The sippy and the rocking cup were the most popular with my boys. Both cups have easy to hold handles and weighted bottoms to prevent them from tipping. I like that the rocking cup has a twisting lid that prevents the straw from leaking when not in use and that it pops right back up if the kids lay it on it’s side. My boys like that they are shaped like a ball and that they rock back and forth when you set them down. 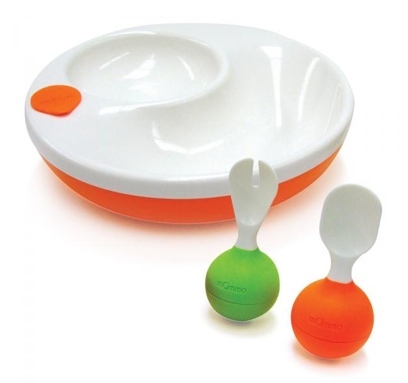 Also included in the mealtime collection is the ‘developmental meal set’. This convenient set comes with a sectioned plate, a spoon and fork. Like the sippys, the utensils have weighted bottoms to keep them upright. They are also very easy for little hands to hold and are shorter in length, which will make it easier when they decide they want to feed themself. I REALLY love this set. Not only is the plate comfortable to hold, but it can be filled up with warm water to keep your child’s dinner warm. And to prevent it from sliding all over your table mOmma has a gripping rubber on the bottom. Parents will also be happy to know that mOmma’s whole collection is dishwasher safe, BPA & phthalate free. They are a bit pricier than a set that you would find at your local department store, but the quality is evident.